Las Vegas mega casino operator, MGM Resorts International last week announced it will be implementing a new strategy aimed at reducing costs, improve efficiencies and growth. “The program, known as ‘MGM 2020’, will be a company-wide, business-optimization initiative aimed to leverage a more centralized organization to maximize profitability and, through key investments in technology, lay the groundwork for the Company’s digital transformation to drive revenue growth,” said the company in a press release. The company said it expects to deliver annualized Adjusted EBITDA uplift of US$300 million in aggregate, consisting of US$200 million by the end of 2020 and an additional US$100 million by the end of 2021. The new program will be driven by organizational changes – driven by labor savings, sourcing and revenue optimization. The company is also aiming to invest in the company’s digital transformation to drive revenue growth, namely – “innovating and elevating the guest experience through data, pricing, digital and loyalty capabilities and optimizing business mix,” said the company in a statement. 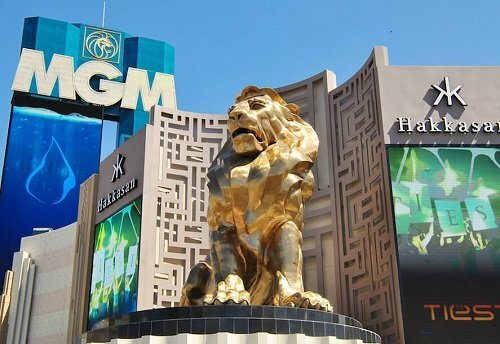 Union Gaming analysts said they were confident in the management’s ability to execute the plan: “MGM has the opportunity to take a more defensive approach to the cost structure and streamline operations, which is particularly important today given some of the economic uncertainty ahead,” The brokerage has raised its estimates and price target – raising its 2020 Consolidated Adjusted EBITDA estimate to US$3.6 billion from a previous US$3.5 billion.